The play-by-play commentary of Ron Santo was the worst in all of baseball, hands down. For all sports it was equaled only perhaps by Joe Morgan. But there was something endearing about the dumb blind banter of this former Cub that kept you from muting the TV; he had an obvious love for the game, he hated when players didn’t play up to their potentials (and said so), and the reeling of his voice whenever we were losing a game was so obviously heartfelt, I actually felt worse for him than I did for myself. 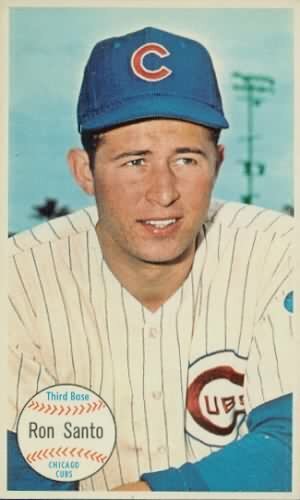 And so I give my congratulations to Ron Santo for making it into Cooperstown. Wish you were still alive and calling a game now and again, Ron.